My third book-in-progress combines autobiography and biography with photography. It will take take shape over the next three years. In March 2008 I was awarded a Canada Council for the Arts grant as a Mid-Career author to complete NEWFOUNDLANDERS - A native son in search of his past and the new Newfoundland. William Barker VC - The Life, Death & Legend of Canada's Most Decorated War Hero - ISBN-0-470-83967-8 - was one of The Globe & Mail's 1997 "Notable Books of the Year" and received the 1998 McWilliams Medal of the Manitoba Historical Society. It has sold about 15,000 copies worldwide. A 10th anniversary edition of my first book, William Barker VC - The Life, Death & Legend of Canada's Most Decorated War Hero, was released in April 2007. 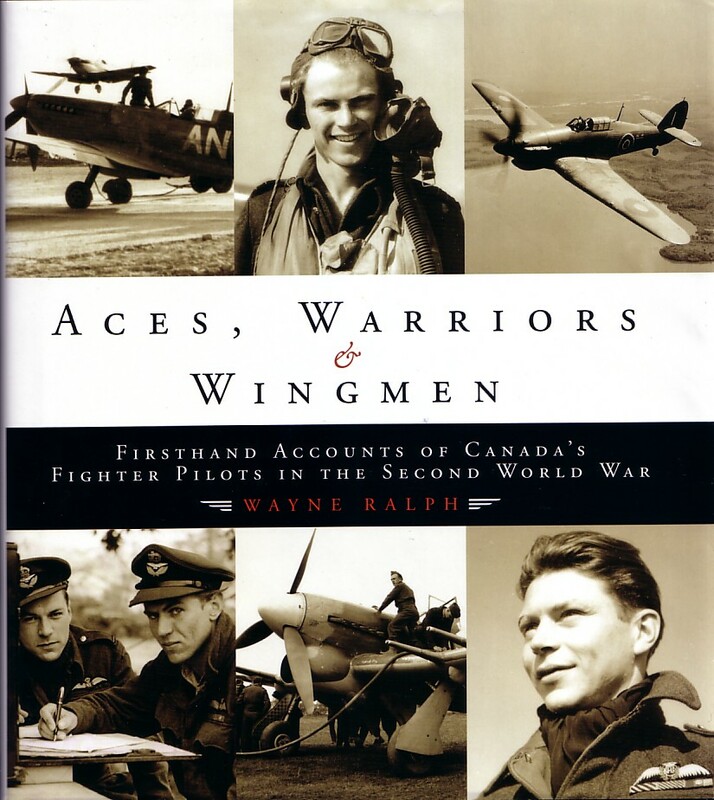 It is a matched volume to the 2005 best seller, Aces, Warriors & Wingmen - Firsthand Accounts of Canada's Fighter Pilots in the Second World War. Both books are hard-covered, illustrated, oversized 8" by 9" format, with extensive reference material, bibliographies, and indices. They provide biographical profiles on Canadians flyers of the First and Second World Wars based on first-person accounts told to the author. These profiles include not only stories of aerial combat but also personal recollections of childhood, post-war adjustment, and old age. The existential world of the fighter pilot is revealed by individual, often idiosyncratic, and sometimes emotional narrative. Portraits of these men in war and peace are included, as well as many previously unpublished photos from their private collections. Examples of some of these illustrations are shown on this WEB site. Photo of author Wayne Ralph by Patricia Whitehead. 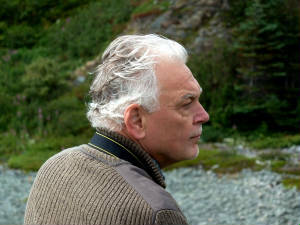 Taken at Spillars Cove, South Twillingate Island, August 2011. The author was born in St. John's, Newfoundland in June 1946, grew up in a military family, and has lived in many towns and cities across Canada. He holds a BA from Memorial University of Newfoundland, and an MA from the University of Calgary; at the latter institution he was the Department of National Defence Strategic Studies Scholar, completing a thesis on weapons systems procurement in 1983. He served as a military flying instructor in the RCAF and Canadian Forces for six years. He was an airline pilot / federal government pilot for more than 15 years. He is the former editor and co-owner of Wings Magazine; and was for six years the editor of Transport Canada's Aviation Safety Letter. The biography of Canada's most decorated war hero became the basis for two television documentaries, in 1999 on Discovery Channel's Flightpath series, and in 2003 on History Television. Both programs are syndicated and have been sold to networks around the world. Aces, Warriors & Wingmen took four years to research and write. The author travelled from coast to coast, and as far south as Arizona; 106 tape-recorded face-to-face interviews were completed. One third of these veterans have since died, and continue to die at an accelerating rate. Perhaps you might like to know just how good Canada's fighter pilots were during the Second World War. Well, here is just one statistic: from D-Day to January 1945, 83 Group, 2nd Tactical Air Force, shot down 532 enemy aircraft - 472 of the 532 were shot down by Canadian pilots serving with the RCAF and RAF. From an all-ranks strength in 1939 of about 4,000 personnel, and fewer than 10 regular force and auxiliary squadrons, none well-equipped or properly trained, the Royal Canadian Air Force (RCAF) grew to be the fourth largest air force on the Allied side in the Second World War. It had 78 squadrons, 46 stationed in overseas theatres. By 1944 the RCAF had more than a quarter million men and women in uniform. About 60% of the 27,000 aircrew serving overseas were on duty with the Royal Air Force (RAF). Many other Canadians were serving with the Fleet Air Arm of the Royal Navy. Sixty years later only a few people have any insight into what was accomplished by these men and women. They were a generation mostly born during or just after the First World War - a generation that achieved and sacrificed much. Our young people in Canada lack heroes or heroic models, and turn to American sporting and entertainment figures, mistakenly labelling them as 'Canadian' heroes. They do not know, and have certainly not been taught in school, that Canada had thousands of fighter pilots overseas, highly regarded for their aggression and skill by their colleagues in the British and American air forces. Our 150 aces, and their wingmen who protected them, and the thousands of others who flew the fighter bombers, reconnaissance fighters, and anti-shipping fighters, demonstrated great leadership, courage and fortitude at every point in the war, and in every theatre of operations. Aces, Warriors & Wingmen tells the firsthand accounts of just a few dozen, a rapidly dwindling band of brothers, who flew in the war and made it home safely.